It will likely not surprise you that I can exhibit curmudgeonly tendencies from time to time. 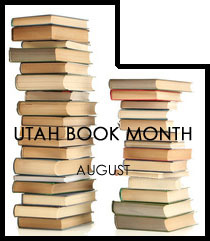 This probably explains why I did not sign up for any events during Utah Book Month. However, Jessica of The Bluestocking Society tracked me down and proposed an interview with the lovely Victoria Dahl. And I'm so glad she did, because I had just downloaded my first Dahl book that very day. So clearly it was fate. I read Lead Me On and very much enjoyed it. 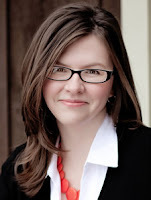 Victoria brings both a wicked sense of humor and layered characterization to her writing. And it was with pleasure I fired off a few questions. So without further ado, please help me offer up a warm welcome to Victoria Dahl! Confession: I’m a relatively recent newcomer to the romance genre and I’m fascinated by other readers’ entry points. You started reading romance at the age of 12. What was your gateway book and what made you pick it up in the first place? absolute favorite. I read her historicals over and over again. What made you stick around for more? the people. Although I also loved books like the Clan of the Cave Bear series! Tell us about your road to publication. What made you decide to begin writing the genre you love? book after staying home with my first child, then I joined Romance Writers of America and kept writing. for Best Long Historical Manuscript. That was my first published novel! You write both contemporaries and historicals. Do you gravitate toward one or the other more frequently or do you enjoy writing both genres equally? world. Writing the dialogue is like writing a conversation between me and my friends. 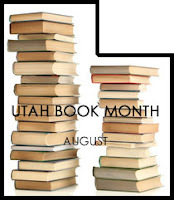 Since this is Utah Book Month, have you always lived in Utah or are you a transplant like me? What’s it like being a working author in Utah? 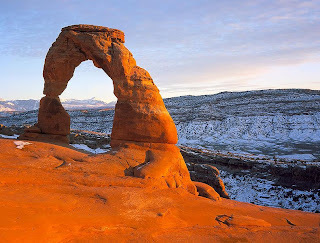 books in the mountains, Utah offers great inspiration. Do you have favorite romance authors or novels you find yourself frequently recommending to reluctant or newbie romance readers? For contemporaries, I recommend Susan Elizabeth Phillips. For YA, you should read Jennifer Echols. writing historicals anymore, she has an amazing backlist, and she’s one of my favorites. I understand music plays a large role in your writing process. How do you go about seeking musical inspiration and do you have any go-to bands or musicians? the words mean so much to me. You’re celebrating a brand new release today and the start of a new series as well! Tell us about the book. What do we have to look forward to? want to know the woman beneath the armor she always wears. can only learn how to stop struggling. Thanks for having me, Angie! I'm definitely going to read more of Victoria's backlist. LEAD ME ON was fun. Oooo Close Enough To Touch sounds good. Also? I love the idea of huddling under the blanket with a book and the snow coming down outside, at least from the vantage point of summer. It does, doesn't it? Yeah, that image made me feel all nice and cozy, too. Park City's lovely. You're most welcome, Sandy! I've been eyeing that series next, too. Wait... a cowboy? Oh, man.. I must read it! Lol. You're a sucker for cowboys, eh Suey? Haha. I'm not trying to hide. Life just got busy with baby #3. That and the last few get togethers have all been scheduled during a work event for me . . .
Love this! Victoria Dahl was my gateway romance author -- even though I was blushing like crazy while reading her books at Starbucks. :) I just went through like 10 Susan Elizabeth Phillips books so I definitely recommend those. I also like Julie James and Shannon Stacey (Kowalskis... yum). "Twitter: Oops." Hahaha! Great interview, Angie! Was she really?! Oh, that is awesome. And hilarious. Thanks for the seconded SEP rec. I've not tried her yet. I love Julie James and have read one Shannon Stacey. I need to give the Kowalskis another try. I love your interviews, especially the word association part. I've seen CLOSE ENOUGH TO TOUCH mentions appearing around the blogs - will have to look it up, thanks for highlighting! The difference between writing historicals and contemporaries - interesting and makes so much sense. I'm glad someone enjoys those. I always love seeing what they'll say. Yeah, that difference rang true for me as well. I can't imagine doing both! Lovely interview. I have several of Dahl's books in my TBR stash. I really need to read one stat--they sound so much FUN!